Introducing the Crown Lumos! 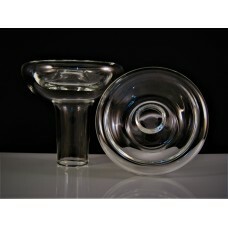 This bowl is designed specifically for the Oduman Ignis Heat Management Device. Available in Standard, as well as GOG male and female fittings. This premium glass hookah bowl will range between 20-40g capacity. Please note your preferance during checkout. 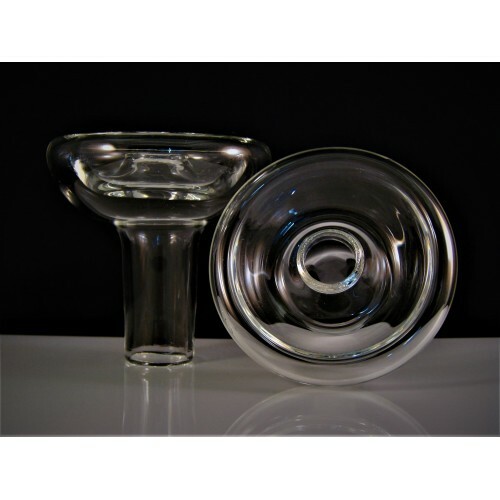 Glass hookah bowls offer a non-porous smoking medium, that allows even heating, and complete sterilization, without compromising the quality of the smoke. This, combined with the minimal tobacco required, allows for a thick, smooth, and efficient smoke, that won't carry ghost flavors. 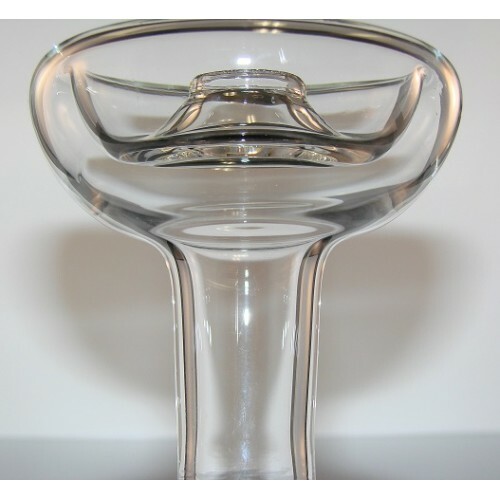 Our bowls are constructed using Schott German Borosilicate tubing, the top choice in glass. The Crown Lumos v1.0 Glass Funnel Bowl is the newest to the Crown Hookahs bowl line up. Released mid 2017 to fit the Oduman Ignis. This HMD is my personal favorite of all HMD.